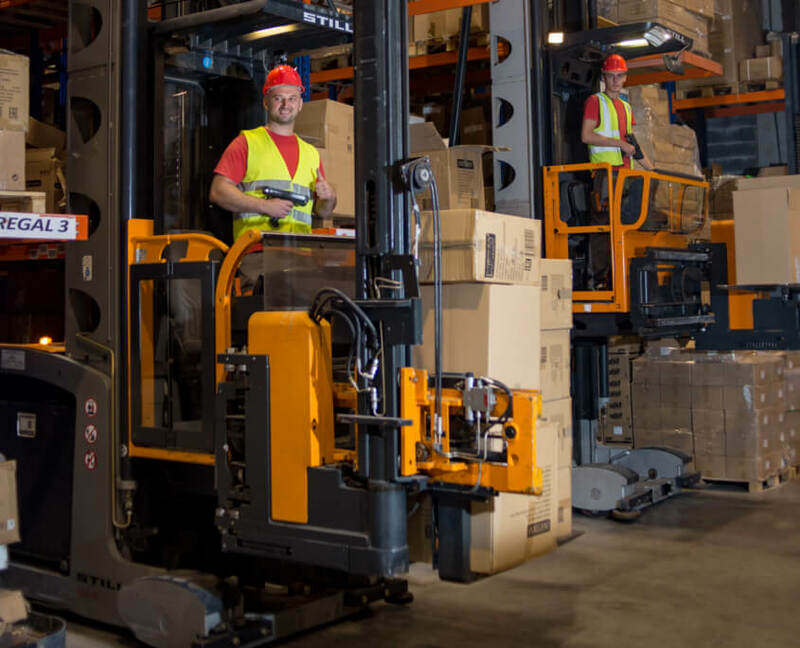 Services of warehousing and handling of goods include entry handling, reception, control and warehousing of goods – both qualitative and quantitative – supported by all the sophisticated processes of recording the entry of goods and EDI. These services also include warehousing – taking care of stocked goods, which may include processes of repacking, labeling, processing into a final commercial product and other required handling and actions concerning the goods. The monitoring of expiration dates and specific conditions of ambient warehousing, dates of arrival and departure of goods and of other data related to the flow of the goods are an integral part of the warehousing process. All of this with a sophisticated WMS system – barcode technology – „tracing & tracking“ – from production to delivery, and other logistics tools. The preparation of goods for shipment and delivery is carried out according to the orders of our clients in real time. The connectivity of business systems gives the clients an access to warehouse status and stock levels but also to availability of goods for sale, which guarantees precision in deliveries to end-buyers. ing the principles FIFO (First In, First Out), FEFO (First Expired, First Out), FPFO… or as requested by the client. We also strive to achieve a sustainable 100% delivery of client orders processed in a day. During the receipt of the goods, we will do a qualitative and quantitative check of goods, label them and enter them into our WMS system, which takes over the monitoring of goods during the entire process, from warehousing to delivery to the end-buyer, with item stock levels updating in real time, so that you can dispose of them freely. We take full responsibility regarding your goods from the moment of receipt until the delivery to the end-user. We store your goods at adequate warehouses, where we use only state of the art equipment for monitoring and tracking. The stored goods are protected by safety alarms, physical protection, video monitoring and fire alarms. Besides the safety standards mentioned, the goods at our warehouses are additionally insured (by various policies) by reputable insurance companies. We commission the goods from our warehouses according to your delivery orders. The exit of goods process begins by scanning the items after which they are adequately packed at our packing unit. Then the shipment passes a further quantitative check of contents, after which the correct shipment is addressed and is ready to be forwarded to the recipient. We have a special team that only handles the returns of goods. Their mission is to receive the returned goods as quickly as possible so that the goods can be accessible to you and available for sale. Before returning such items to stock, a qualitative and quantitative check is done and the required documentation is made. You have your own variable dynamics. We have our dynamics and we adjust your costs to you. In other words, you pay according to the amount of goods you store. When the entry of goods decreases, so do your costs. We use our own resources optimally, so that in the end your periodic cost is variable, and the annual cost is much lower than it would be if you performed the processes on your own. Jankomir – warehouse occupying 8300 m2, with the capacity of 8000 pallet spaces. Žitnjak – warehouse occupying 4500 m2, with the capacity of 4000 pallet spaces. Sarajevo – warehouse occupying 2500 m2, swith the capacity of 3000 pallet spaces.